Emmerson Mnangagwa has been inaugurated as Zimbabwe’s new president in a ceremony at a packed stadium in the capital, Harare. The move follows the dramatic departure of long-term President Robert Mugabe after 37 years of authoritarian rule. Emmerson Mnangagwa’s dismissal earlier this month led the ruling Zanu-PF party and the army to intervene and force Robert Mugabe to quit. The former vice-president, who had fled the country, returned from exile on November 22. 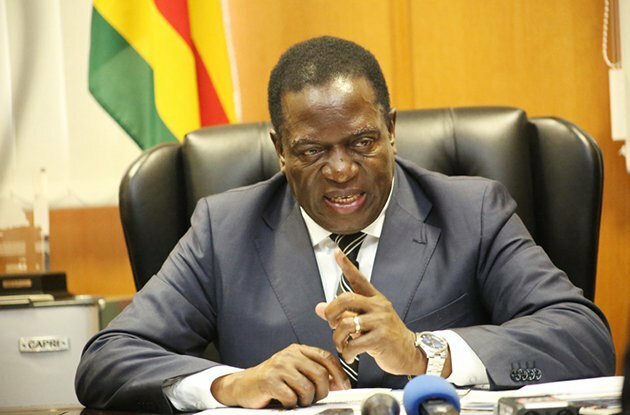 The opposition is urging Emmerson Mnangagwa, who has been part of the ruling elite, to end the “culture of corruption”. Although Emmerson Mnangagwa has unseated Robert Mugabe, he is still associated by many with some of the worst atrocities committed under the ruling Zanu-PF party since the country gained independence in 1980. Emmerson Mnangagwa was Zimbawe’s spymaster during the 1980s civil conflict, in which thousands of civilians were killed. But he has denied any role in the massacres, blaming the army. After being dismissed as part of a power struggle over who would succeed Robert Mugabe as president, Emmerson Mnangagwa fled to South Africa two weeks ago – only to return home on November 22 to a hero’s welcome. Tens of thousands of people packed the National Sports Stadium at Harare to witness the inauguration. Pop singer Jah Prayzer provided the entertainment and, as people in the crowd danced, the atmosphere was closer to that of a concert. Dignitaries, including leaders from various African countries filed in to cheers. Opposition leaders Morgan Tsvangirai and Joice Mujuru – who have both also had their sights on the presidency at various times – were there. Emmerson Mnangagwa was led in the oath of office by Chief Justice Luke Malaba, saying he would “be faithful to Zimbabwe”, “protect and promote the rights and people of Zimbabwe” and discharge his duties to the best of his abilities. He was accompanied by his wife Auxilia and gave her a kiss after the green presidential sash was placed around his neck. The crowds cheered a 21-gun salute and a flypast. Former President Robert Mugabe did not attend the inauguration ceremony – and the official reason given was that at 93, he needed to rest. On November 23, several reports suggested Robert Mugabe had been granted immunity from prosecution. Local media are reporting that Emmerson Mnangagwa has offered the Mugabe family “maximum security and welfare”. Robert Mugabe “expressed his good wishes and support for the incoming president,” the Herald newspaper reports.